Chamblee started out as a high blue-collar area due to its location to the General Motors plant in neighboring Doraville as well as other manufacturing plants along Peachtree Industrial Blvd. By the 1980s the industrial and manufacturing businesses had either downsized or moved, and multi-ethnic businesses began to boom due to the city’s affordable housing. Chamblee, especially along Buford Highway is now known as the multi-cultural city where international bakeries, restaurant & grocery stores are abundant and flourishing. The private school St. Pius X High School is highly coveted in this area of Atlanta. Downtown Chamblee has been preserved – many of the buildings are historic vintage of the railroad era. Downtown Chamblee has had a prominent antique industry, but that is now changing due to significant commercial development since 2000, including lofts and townhomes. A new movie studio & live-work development has begun being built where the former GM plant used to stand, and is projected to bring a large amount of crew in from the Peachtree City area where most of the studio work is located currently. The Chamblee MARTA Station and City Hall are both located downtown. 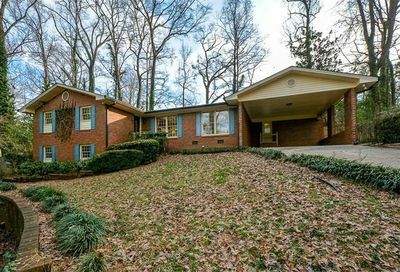 Sexton Woods is a mix of 1950’s ranch homes, becoming either renovated or torn down for new construction in the area. Sexton Woods is bordered by Chamblee-Dunwoody Road, Harts Mill Road and Ashford Dunwoody Road. 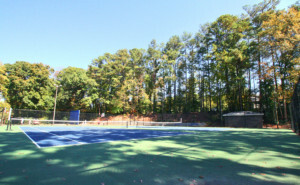 Sexton Woods is also the home of Chamblee Middle School and Chamblee High School, which serves both Chamblee and Brookhaven area students. 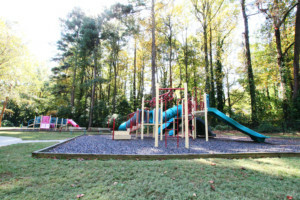 Keswick Village is adjacent to Sexton Woods, Keswick Village is next to Keswick Park in Chamblee which features lighted ballfields, playground, tennis & basketball courts. 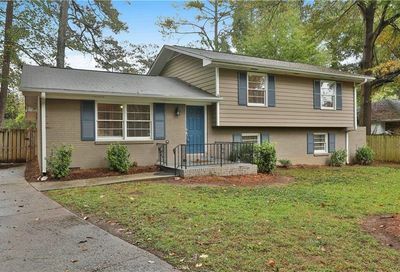 Clairmont Park primarily consists of residential neighborhoods along Clairmont Road near Peachtree Dekalb Airport south of Peachtree International Blvd. Huntley Hills is a neighborhood established in the early 1960s and Huntley Hills Elementary School is located in the middle and has both a Montessori program and a wide range of special needs programs for children ranging from high to low disorders. DeKalb County is responsible for the City of Chamblee’s Fire Department – Fire Station #15. 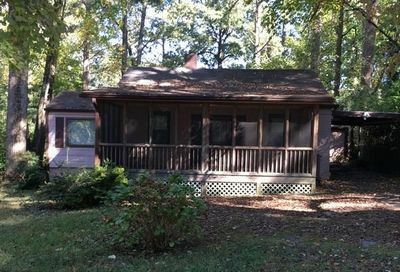 This station is located at 2107 Flightway Dr, Chamblee, GA 30341 – Google Maps. Their primary response is to serve the City of Chamblee and surrounding areas as well as Peachtree-DeKalb Airport. Fire Station #8 and #2 also serve portions of Chamblee. 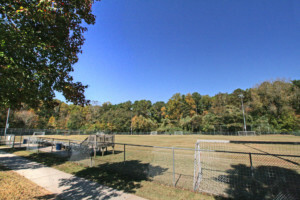 Chamblee is growing daily with new development. Peachtree Road connects Chamblee to both Brookhaven and Buckhead’s upscale dining & boutique shops, plus Lenox Square Mall and Phipps Plaza. This road also is the hub to two NEW hot spots: Parkview on Peachtree and Peachtree Station. Parkview on Peachtree is a mixed-use development with new restaurants, shops and residences. Across the street is Peachtree Station with a Whole Foods, Starbucks and more on the corner of Peachtree Rd & Johnson Ferry Rd. Take Peachtree Blvd northeast and you will find car dealerships, body shops & service departments for almost any vehicle. Hopping on to I-285 is a cinch from Peachtree Blvd, or continue northwest onto Peachtree Industrial Blvd for easy access to Norcross, Duluth and Johns Creek. Just south parallel to Peachtree Blvd is the multi-ethnic Buford Highway which features international markets, restaurants, shopping and businesses. The markets and restaurants are often featured on Travel & Food TV networks, and have become a popular destination for visitors on business or vacation to the Atlanta area over the past years. Buford Highway Farmer’s Market – 5600 Buford Hwy NE, Doraville, GA 30340 Website Spacious market with a global and ethnic focus in the selection of produce, meats and seafood. Visited/aired on multiple TV shows on the Travel Channel – see a clip here with the late Anthony Bourdain. Plaza Fiesta – 4166 Buford Hwy NE, Atlanta, GA 30345 Website The mall contains a large supermarket (“farmers market”), several large discount stores, and a large space filled with over 140 small vendors, modeled on a Mexican mercado. The mall attracts shoppers from as far as North Carolina, Alabama and Tennessee. Parkview on Peachtree – 5070 Peachtree Blvd, Chamblee, GA 30341 – Website Parkview on Peachtree is a mixed-use development, incorporating the surrounding greenspace, mass transit, park and fitness trails into a diverse blend of retail, office and residential space. Restaurants include: Big Daddy’s Burger Bar, Chronic Tacos, Poké Bar and The Alden. Peachtree Station – 5001 Peachtree Blvd, Chamblee, GA 30341 – Peachtree Station includes the Whole Foods Market, mixed-use offices, shopping and restaurants: Chipotle Mexican Grill, Taqueria Del Sol, Starbuck’s, MOD Pizza, Menchie’s Frozen Yogurt and Zoe’s Kitchen.